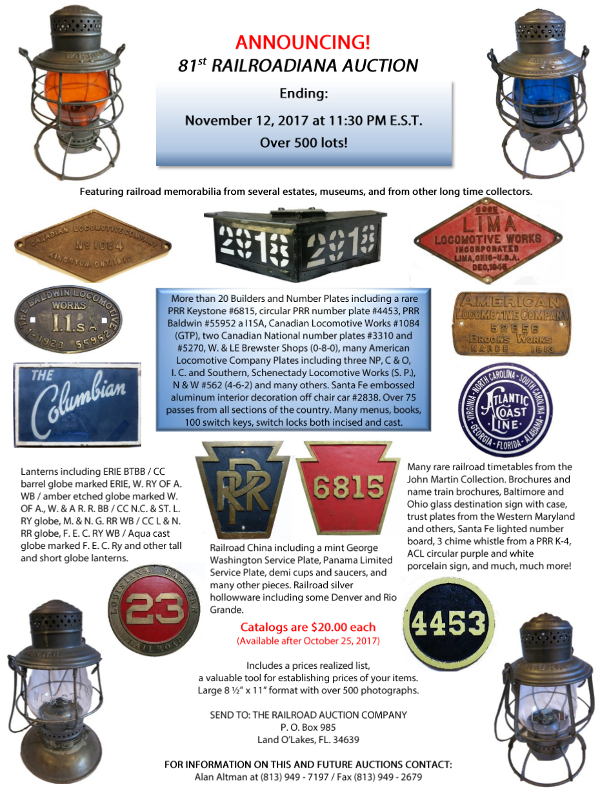 To purchase an auction catalog, please use the contact information below. Catalogs are $20.00 each. Each catalog includes a prices realized list, mailed about eight weeks after the close of each auction. Copyright © 2002 - 2017, Golden Spike Enterprises, Inc.